Proof of ones ability to socialise! Very true! Look at me! Look at me! I’m cool.. I’m COOL.. Do you believe me? I suspected but now I’m convinced. All hail the stamp of cool! Not that I ever needed such a stamp. My coolness is unassailable. The stamp somehow also brands you as a sheep. Therein ensuring you are like everyone else, and ultimately – uncool. I just remember how cool it was to be suddenly old enough to get into a 21 bar (I don’t know if Canada has a drinking age). I remember the first couple times I had a stamp I felt grown up. No cooler, though. It’s impossible to add anything to my my infinite coolness. Hahaha. I grew up in London, England. 18 was the drinking age. 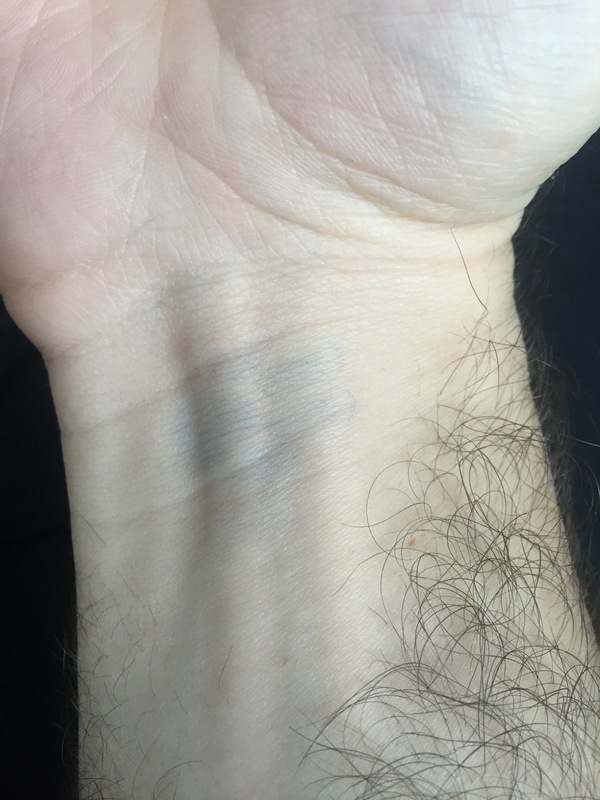 That bar stamp was like a battle scar, we wore it with pride. …. Nope. I had VODKA! ….. Oh really? How did it taste?